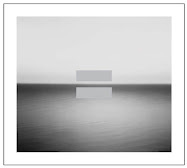 Breathe is writtten by U2 and is from the album No Line on the Horizon. This is pushier at immediately, coming with a bit of attitude. Did Bono really just say he is "not somebody's cockatoo"? He definitely says "I'm running down the road like loose electricity while the band in my head plays a striptease" and it's an apt description of this land of atmosphere and aggression. The best song of this album!!! Agreed, the best song on the album. Bono's experimentig with his lyrical phrasing all over this album; both in the verse and chorus of this tune does he display his successes and my favorite example. 16 June is Bloomsday. It's the day that Ulysses by James Joyce is set, commemorating the 16 June 1904 when James met the love of his life Nora Barnacle. I reckon it must be a tip of the hat by U2 to Joyce the towering international Irish artist who had huge ambition for his work. This U2 site serves to simply collect the lyrics to U2's album, No Line on the Horizon, and to share U2 news and views! Lyrics will be corrected following the official release of the album. Your thoughts and ideas on them are very welcome in the Rattle and Hum comment section. In case Bono confuses this site with Napster, I advise you all that these lyrics are copyright by whoever holds the publishing rights, for the most part this will be the band U2 or their publisher, but there are a few covers in here too. Users of this site are advised that the lyrics should be used for personal use only. Finally, this site has no affiliation with U2 whatsoever.